In December, I believe, of last year I received a message from a friend who teaches film making at a local university, and they were looking for actors for a project. Student films are a great training ground. Not only for the film makers, but also for actors. And although there usually isn’t pay involved, an actor can get some good reel out of it. Uh. Yeah. I do. Me. And thus began my journey in the film Crossfire produced by the John Brown University Film Department under the exquisite leadership of Steve Snediker. Why do a student film?, you may ask. Well, for several reasons. 1. I loved the script. 2. I enjoy playing evil. 3. I enjoy film making. 6. These are outstanding young film makers. 7. The opportunity to get some good reel of my being evil. 8. There’s a very good chance I may be working for these film makers someday. There are some actors who may look down on being in student films. Well, they shouldn’t. But it also depends upon the students. The department. The film students at JBU are, simply put, excellent. They are heads above more professional than several professional sets I have worked on. They are organized. Respectful. Know precisely what they are doing. And are good film makers. I have admired their work several times before, and was thrilled to be a part of this project. 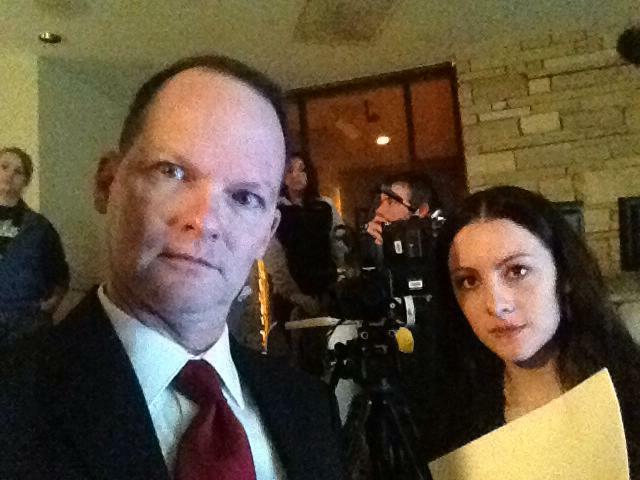 In this film I play the role of Paul Greaves, an evil guy who uses his power and position for personal revenge. Which freaked me out. My sweet niece, like Emily, is 21. So everytime I slapped Emily, it was as though I was slapping my niece and it terrified me. The slap took several takes. And at one point Emily had tears welling up. It was time to stop the slap. There’s a lot to be said for cheating certain shots. The cinematographer, John Owen? So professional. And so, so, so good. I cannot wait to see his work in the in the final product. No. I kept my mouth shut. And soon learned everything I was thinking needing to be taken care of, but not voicing, was being taken care of without my having to voice it. Keep your mouth shut, Mark. You don’t know everything. These guys know what they are doing. Be patient. And keep your mouth shut. Yes, they are excellent film makers, but one can only be as excellent as the leadership, and that’s where these students hit the jackpot. Steve Snediker is exceptional. He loves film making. He loves his students. A perfect storm. And he’s a really, really, really nice guy with high standards with no compromises. 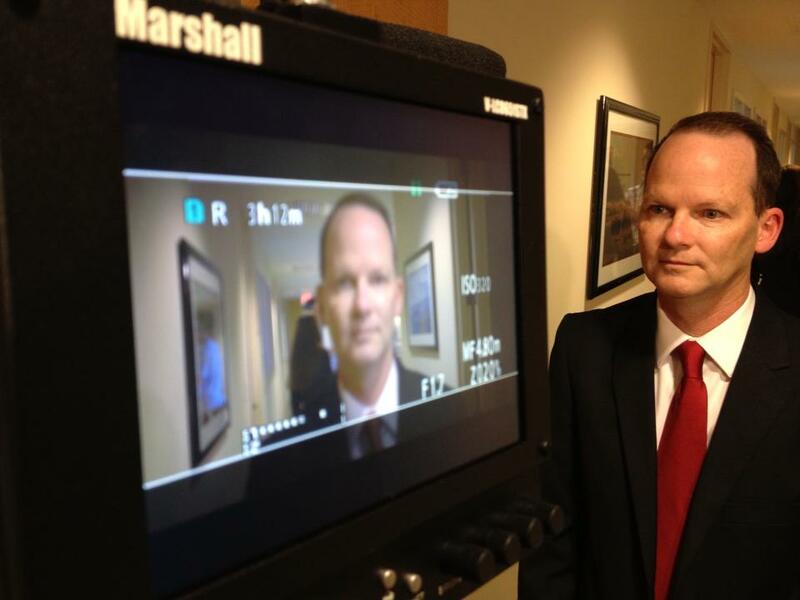 If, as an actor, you have an opportunity to work with the JBU film program…do it. Don’t hesitate. 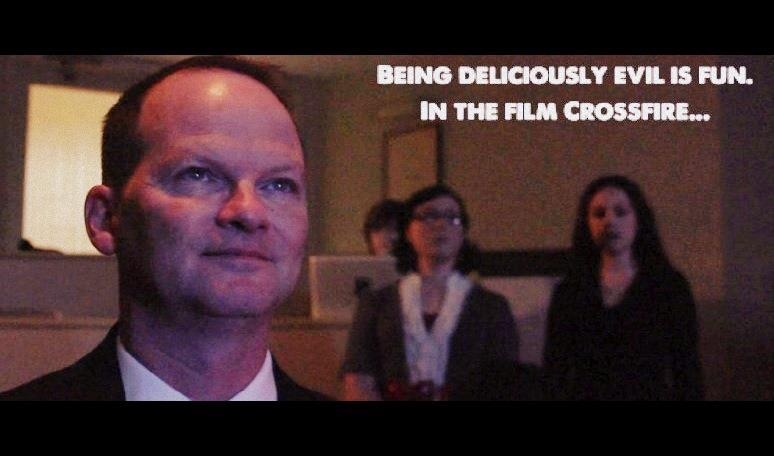 If, as an audience member, you have an opportunity to see a film produced by the JBU film program…do it. Don’t hesitate. Gordon Family Tree. A True Family. This week was a very special one. But, let’s face it…most of my weeks are. But this one was extra special. Last October I had the complete joy to be a part of a truly wonderful project – Gordon Family Tree. This feature film was produced by Purpose Pictures and spear headed by Ryan and Jennica Schwartzman. I have been on other sets. In other films. I always enjoy the work, but the atmosphere from set to set can be markedly different. Some sets are all business and no nonsense where the actor is a head on a body expected to know lines and hit marks. Others are so laid back and disorganized, one wonders how anything is getting done. But this one. This GFT set. This one was extraordinary. Ryan and Jennica have a passion. A passion for film making. A passion for telling a story. A passion for people. Each passion very honest, very real and true. They love what they do and they love the people involved. And they are extraordinarily professional. As was the entire team. Marc Hampson, the director. Danny Brown, cinematographer. Darlene, costumer…and on down the line. Film making is hard work. For everyone involved. And at any given moment a myriad of things can go wrong. Frustration and discouragement can set in…if you allow it. What is important is one’s attitude. And the attitude on the set of GFT was nothing but encouraging, supportive and positive. Quite a difference from other sets I have worked on. As an actor when you walk onto a set the first day, there’s a quick evaluation. One gets a feeling. A sense of what the experience is going to be. Immediately on set for this project I felt at home. At ease. Loved. Myself and several other actors involved have agreed we were spoiled. Not in a “May I get you a cup of coffee, Miss Ross?” (Although we were very well taken care of.) No. We were spoiled by the love. The camaraderie. The mutual support. 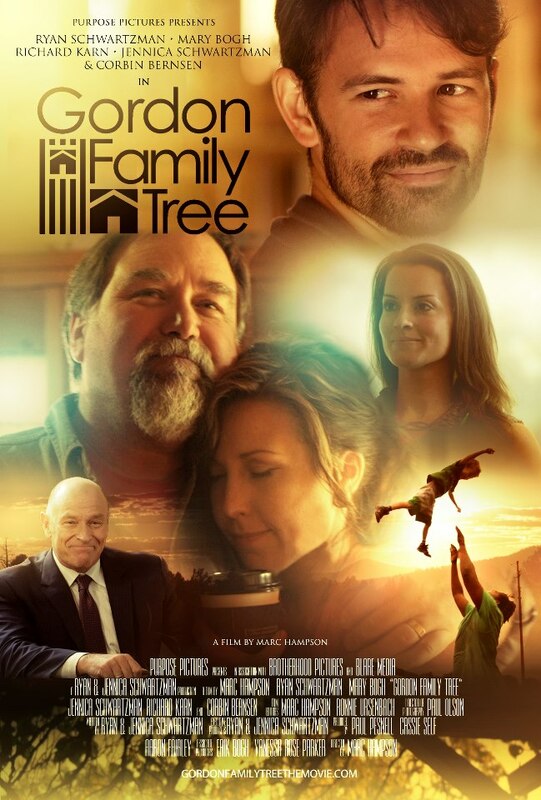 This was a family creating a film about a family. And since then working on other projects, the phrase which runs constantly in my mind is…”Well, it’s okay. Lovely. But it’s no Gordon Family Tree.” The bar has been set high. And I am so thankful and thrilled to have been a part of the process. The premiere this week was thrilling. 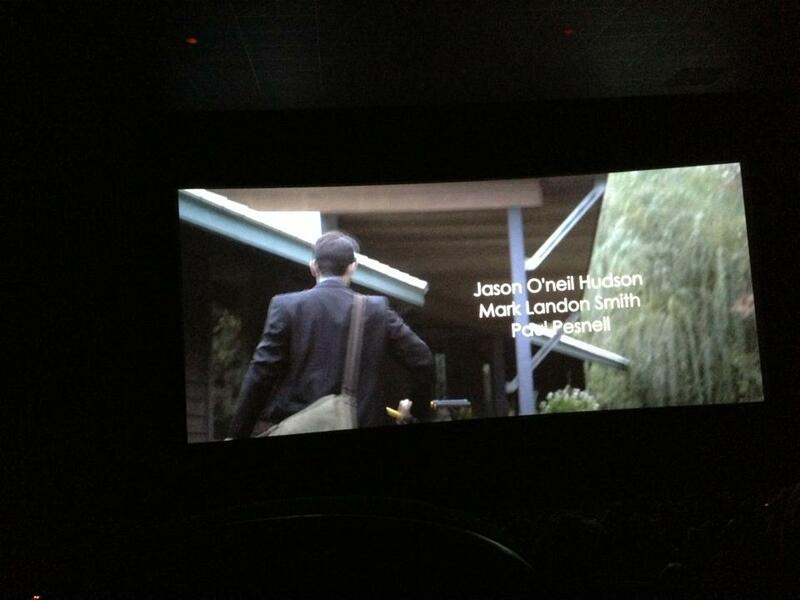 It’s always fun and nerve racking to see yourself on the silver screen. A delightful combination. And I still get a chill when I see my name in the opening credits. But what made this particular premiere so memorable is we were each sharing a common experience and seeing the fruits of so many labors. We were with our friends. Our family. Seeing so many of our friends on the screen doing such good, good work. The pride of looking around and seeing your fellow actors, most I have known for a decade and are my local family, sitting next to me and around me. Then glancing up and seeing them on the screen. The film itself is simply beautiful. A man’s journey to find himself in the most beautiful way. Several times during the premiere I got a lump in my throat. And a few tears. Due to the combination of the film itself being so touching, (no spoilers here), and being surrounded by my dear and sweet friends – old and new…my parents were my dates and I was so proud to share this with them. Hearing my father, when he saw an actor on screen, turn and whisper to my mother, “We saw them in the lobby.” And just an overall sense of awe and wonder I was a part of this. And I am so thankful. Thankful and grateful for Jennica. Ryan. Marc. Darlene. Janice. Jules. Julie. Warren. Bill. Laura. Cassie. Patrick. Jocelyn. Jason. Kenn. Kristin. So many more. Can we do it all again?